A holiday at home, and a holiday for us too. The past 14 years, T’s company never had MLK day as a holiday and we seemed to making up for the lost time well now that we are 14 days into our adventure. Given we’d covered 2 palaces, 2 temples, 2 markets and 2 college friends, we took our 3rd day to slow down. We had a long stroll in the park, after having been tempted by Bangkok’s version of city bike rentals for the brave but not having the right access card (forget about a helmet!). We had a leisurely coffee and newspaper, and then met once again our friend for lunch. Life is good. We found ourselves wishing for more Bangkok time as we were packing up our things. We hadn’t seen the modern art museum or the rooftop bars or where the other 4 zillion residents were residing. 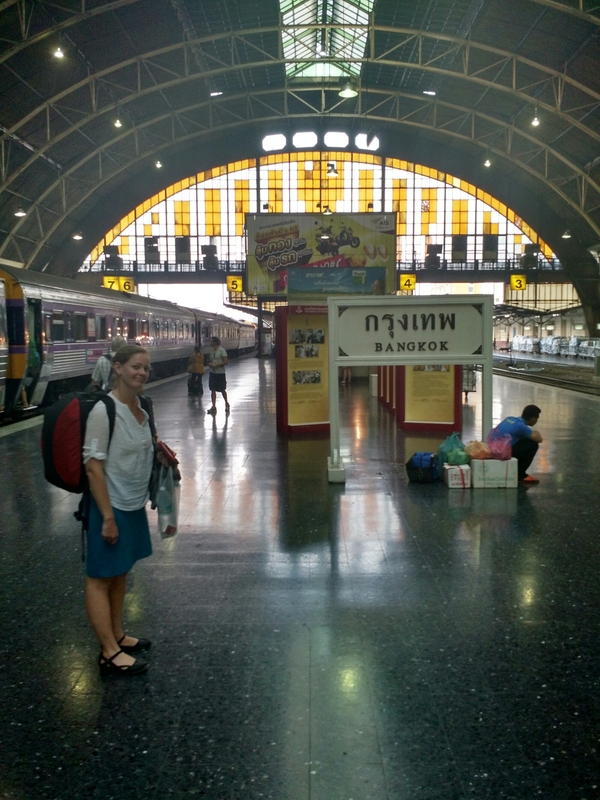 But the train tickets to Chiang Mai had been purchased a month or two ago, so our time had come. At parting, our hostess commented on how Buddhists try not to attend too much to the past or future, and she smiled at the double meaning of present as a gift and the here and now. Thais frequently smile, and we genuinely and gratefully smiled back. I’m pretty sure you are being modest and that you’ve really been living a Hangover 2 experience over the last several days. I haven’t seen any recent posts from skipsterious – has he been lost to the city? Love the photos and the stories. Keep them coming! !